The Centers for Disease Control and Prevention report that approximately 1.1 million people suffer serious burn injuries each year in the U.S. that require medical treatment. 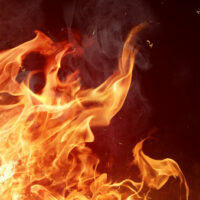 If that was not bad enough, approximately 50,000 burn victims required spending time in a hospital and 20,000 people suffered significant burn injuries that covered 25 percent of their body surface, according to the National Law Review. If you or a loved one suffered a serious burn in an apartment fire, car accident, workplace fire, etc. you could be left with significant physical and mental scars that will remain with you for years, or even decades. You could also be inundated with large medical expenses, an inability to work resulting in lost income, mental anguish, and other pain and suffering damages. When someone else caused the burn injury as a result of their negligence you may be able to seek compensation for these and other losses. In these types of cases, the negligent party may be the landlord of an apartment or condominium complex, a business owner, or a reckless motorist. Neglecting these responsibilities can result in a tenant suffering a life-altering injury if a fire breaks out on the premises. If you suffered a burn injury in an automobile accident, the reckless driver that caused the collision can be held liable for your harms and losses. In some accidents, the automobile manufacturer could also be held liable for your burn injuries. For example, if a particular safety feature did not function properly and that proximately caused your burn injury, then the manufacturer may be liable. Medical expenses such as emergency care, surgery, treatment by specialists, prescription medications, etc. In addition, many victims of serious burn injuries develop ancillary diseases, including respiratory infections and other illnesses. Pain, suffering, mental distress, and psychological trauma associated with the incident. These harms are routinely referred to as “pain and suffering” damages. Lost income as a result of being forced to take time off of work to recover from your injuries. Depending on the severity of the injury, you could be forced to miss weeks or months from work. Or, you may not be able to ever work again, which means you could pursue future earnings. If you or a family member suffered a serious burn injury in a car accident, building fire, or other incident, now is the time to speak to a lawyer to discuss your options. The Miami burn injury lawyers at the office of Alan Goldfarb, P.A. are here to help. Contact our office to schedule a free, confidential case review.